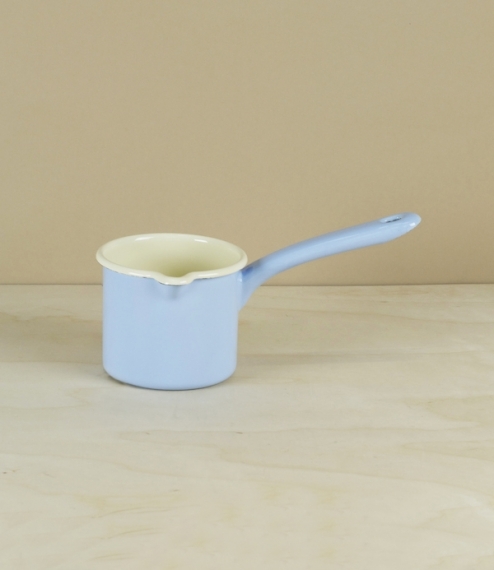 1 litre or ½ litre enamel on steel Austrian Schnabeltopf, literally beak-pots, or more commonly milk pans, although their use extends far beyond the warming of milk. 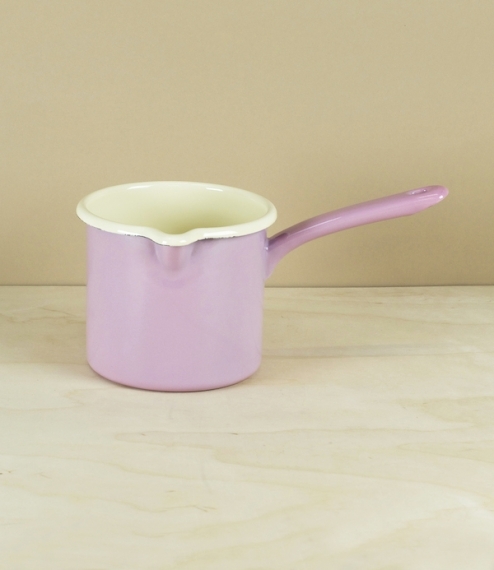 Enamel, which is in essence coloured glass fused to a steel ground, marrying a smooth inert surface to a shatter resistant form, has long been the material of choice for warming milk, custards, or other sensitive flavour absorbing drinks or sauces, as it doesn't react to acidity, or retain and transfer flavours. 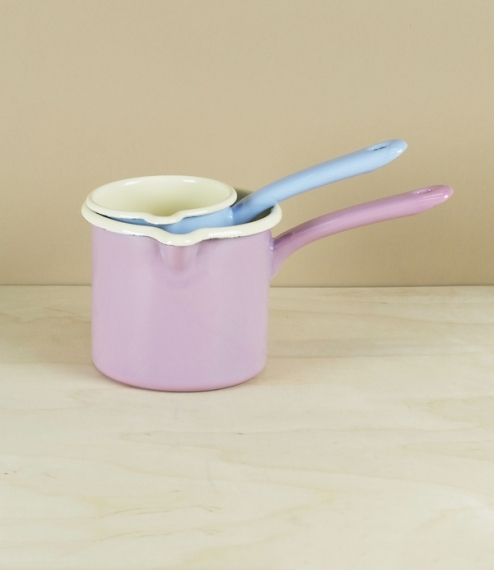 The two sizes come in their traditional colours the smaller ½ litre pan (with a diameter of around 10cm) in a pale indigo-blue, the larger 1 litre pan the original rosa-pink, both with a creamy off-white interior. They are made in Ybbsitz in Austria at the hydroelectrically powered metal stamping and enamelling workshops of Riess, a company with an unswerving commitment to both the quality of their produce, and an environmentally, and socially sustainable model of industry.